Let me just first make it clear that I'm a very amateur numismatic, but these are my observations and frustrations. I would like some explanations on why there is such a vast difference in selling price (real value) obtained during Bob auctions and Herns values (book value). I don't know why such a book even exists if it is so ridiculously out of touch with reality, and to make matters worse its published yearly! I don't buy coins to make money as I have never sold any coins, but when I'm looking to make new sets or upgrade some coin I really would like a estimate budget. How difficult would it be for this Herns chap to collect data from Bob , then his book would have some real value. HI Des, my advice to you would be to first do some research on the coin before buying it, i have seen a buyer on BOB lately buying coins for really crazy high prices. He will never get his money back. a 1935 1 penny was sold for +- R3700.00 and 3 weeks later another coin with the same grade came up and was sold for +- R710.00. Thats a diffirence of about R3000.00 on one coin, even in 50 years he will not see a return on the coin bought. Hi, thanks, the coindatabase site info helped although it's new I'm sure over time it'll be of great service. I use ngc's auction database at times. I've also noted some bidders on Bob don't do much homework, but it's their money and I've also made the mistake before and there are some real sharks out there..... I try to stick to the one rand auctions as this should, although not guaranteed, result in a fare sale price. Your statement on our coin prices in the US and Europe is so true regarding high rare graded coins. Upgraded au coins are very cheap , last year I happened to be at the las Vegas coin show and I bought 1892, 1894, 1895 shillings and 1895 six pence all very nice au coins ungraded for 30$ , a bargain I thought. As a coin seller myself on BidorBuy, I have seen prices paid by “investors” for coins that are not worth a fraction of the price they have originally paid for them. I have over the years received quite a few coin collections to resell after the investors burned their fingers horribly. These unfortunate investors tried to (re)sell the coins back to the companies from whom they have bought the coins in the first place but guess what? – No hope in hell – the scammers have left the planet the moment you try to contact them regarding the coins you have bought from them in the first place. On the other hand, coin companies like Randcoin in Johannesburg and City Coins in Cape Town are examples of bona fide dealers who have built up trust and recognition over many years. What evidence do you have to support this statement? 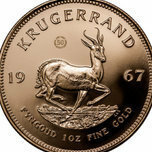 I don't track BoB hardly ever but as I explained on multiple occasions on this forum in the past, there are almost no buyers elsewhere for your (Union and ZAR) coins at the prices paid in South Africa, except for common ones at nominal prices. I provided six reasons in a prior post and of necessary, I can link to it again. To the extent this happens, the overwhelmingly evidence indicates it is collectors in South Africa buying these coins or in some instances, expatriates living elsewhere. Foreign buyers cannot hardly ever sell any higher value coin to anyone else because there is a very weak affinity for this coinage elsewhere, just as there is for most other coins. When I was an active seller on eBay, I ended up selling practically all of my better coins in private sales to local buyers in your country at discounts because no one else wanted them at your local price. As for the original question, the values in annual price guides are just "made up", all of them. The only exception seems to be for very low priced coins where dealers are able to sell from their shop inventory. I have an idea of which sellers you have in mind, but this was hardly the source for most of what you allude to. As I have noted here many times in the past, there was a bubble in your coin market which roughly ended at YE 2011, coinciding with the peak in the gold spot price and maybe the speculation frenzy in the Mandela coins. It has been mostly or entirely downhill ever since for the reason I also gave before, these prior buyers disproportionately weren't real collectors which is why demand has decreased so dramatically. Can't prove it but I suspect that most of those who lost a large proportional amount of their "investment" DID NOT buy from the SA Coin Shop, SA Coin Company or other sources like them. So where did they mostly buy their coins? From BoB sellers first, eBay probably second, local dealers and occasionally from Heritage. They weren't necessarily "ripped-off", though some of this happened going by the absurd prices I saw and see on BoB. No, they (more or less) bought at the "real value" at the time, though I use this term loosely since "investing" in these coins frequently more closely resembles participating in a casino given the erratic and unpredictable prices between two proximate sales for essentially identical coins. They just had a hugely inflated opinion of the long value which is exactly the same belief the consensus had here, as I have explained so many times in prior posts. These are 1892 5s SS, and I used this list as I'm the purchaser of one of these coins. As can be seen from this list the Bob prices fetched seem lower. This trend I have noted as I use ngc auction prices as reference when I need a estimate on value. The statement jcriller made was qualified as "high graded and rare coins" so I do think he has a point, but then everyone has a opinion based on his or her personal experiences and observation so it's still just that. Be happy and enjoy your hobby! The example you used was not one I had in mind. This coin is not rare, even in higher grades and I don't consider it expensive either in the grades you listed. Here are a few other factors which make it likely that foreign collectors will buy this coin in these grades for more than local prices, on occasion. First, it is crown sized, it is the only crown from ZAR and crown sized coin are preferred over smaller coins given similar attributes. This is also true with the Spanish colonial pillar coinage I collect. Second, for a US buyer at least, these examples are nominally priced. The highest price in your list is $500 USD. Collectors (as opposed to "investors") regularly buy coins in this price range, even when they don't collect a series (ZAR in this instance). Third, the difference in these prices is well within the normal range that US buyers also pay for the same coin when buying US coins. You can verify this on Heritage. The reason for this is that few coins are exactly identical and obviously, different bidders are competing for different lots of the same coin (1892 3/ SS in this instance). As to why a US buyer would be willing to pay more than a BoB price for a moderately or low priced coin, its the same reason I attribute to higher prices for more expensive coins in SA. Your postal service is unreliable. A US (and on occasion other) buyer would rather be sure they actually receive it. In my prior posts, I also acknowledged that what I just described above might also apply to a few others such as the Burgers Pond, Veld Pond and pre-Union pattern pennies but only for the more common varieties. All of these coins have a unique look. ZAR with the Kruger portrait does not, except the crown as a one year issue. To the overwhelming percentage of foreign collectors who have no affinity or a weak one for ZAR, they aren't going to pay huge premiums for minor differences in quality represented by different TPG grades, especially when these coins disproportionately sell for so much more than their own and they don't like TPG anyway. The difference between BidorBuy sales and private companies dealing in coins is simple - on BidorBuy the bidder bids an amount he thinks is fare and if he wins the coin then that is that. Nobody forced him (or her) to bid and if the starting price was R1 then there is no way that any fingers could be pointed at the seller - he listed the coin and the highest bidder won - that is as fair as one could get in any transaction. My problem is that there are coin companies in SA that targets well-off people (for example aged medical doctors for some reason) and convince them that a portfolio of "rare" coins would guarantee them a wonderful nest egg in the years to come. I have examples of these sales documents in my possession where the unfortunate buyer are duped into the most horrifying figures projected for how their coin portfolio will grow in the foreseeable future. This is as unethical as it gets BUT guess what - the fine print simple says that there is no guarantee that these estimates are assured - it is only projections. There will always be sharks among us, but how these people can run (coin) companies for such a long period without ending up in jail is beyond me. Jwither what is your feedback on the new 1 OZ silver coins (PF) selling on E-bay. it is a fact that most of these coins are being bought by american/European buyers at a 20% plus increase then to what we can get the coins for on BOB. With 15000 minted i do not see them as rare and personally i have no idea why someone would buy silver that much over spot. Regarding you wanting proof on sales price differences, please have a look at coindatabase.org where all major auctions results both local and international are updated on a daily basis, you will see the difference. Whether its local buyers or international buyer bidding was not the subject but the price difference to BOB was. I agree with you on the price bubble that was and i remember we had a discussion a few years ago re the 1923 1/4 penny that was selling at R5000.00 each in MS65 and upwards. I thought it was crazy and some said its because its the first of the series, guess what , the last one sold for R688(MS66). The reason why? i presume because of the high price received by sellers a lot more was graded as the NGC census shows that graded coin population almost doubled. But i have also seen american coins that was sold for $70000.00 and 12 months later the same coin was sold for $34000.00 all because of population increase. You are right that I misinterpreted your first post. The sale doesn't say anything about who bought it or where they were from. Its also possible it partially contradicts what I expect from collector behavior because particularly for a South African, I don't see that they would prefer to pay more elsewhere than from BoB. If these buyers are from elsewhere such as the US, I'll have to modify my position, somewhat. I consider myself an impartial observer (to the extent possible) and if the data supports something different than what I have believed, I'm not going to attempt to contradict it. My feedback on the Silver KR is the same as the one in my last post. In PF69, it is a nominally priced coin which I can see being bought by collectors from anywhere. In PF70, there are going to be some foreign buyers, but I doubt many. The highest price I saw was for about $55O USD, overpriced for such a common coin but still relatively nominal by US standards anyway. When foreign buyers buy it, in either instance, it makes more sense to acquire locally than buy it from South Africa, pay the increased postage and possibly have it lost. I understand that the SA Mint has distributors elsewhere and there should be an ample supply. There is also a lot of demand for precious metal Non-Circulating Legal Tender (NCLT) coinage from any number of countries, by Americans and others. This includes the American Silver Eagle in the US but these buyers also like the Britannia, Panda, Australian, Canadian, Mexican Libertad and others. If the SA Mint intends to make the silver KR a recurring issue, I think it will sell well here state side. For those who don't remember, the gold KR was the "King of NCLT' before US sanctions killed it's popularity in the late 80's and it was displaced by other coins, including the gold American Eagle. On ZAR and Union, I will have to look at a larger sample than I have time to do now. Randomly, I looked at the 1893 pond. All the grades I looked at (first two pages covering 20 sales) were AU or lower, but yes, Heritage has the higher price and some from eBay also are higher than BoB though not always. I suspect that most of these eBay sales were by sellers in the US because that's where I'd expect the majority of graded coins outside your country to be owned. .Lastly on your comments on American coins, not sure what coin you are referring to but it does happen. And though I haven't stated it here often, I have elsewhere. I'd never buy a coin like the one you profiled, not even within my price range and even though the downside risk is much less and the coin is a lot more liquid. Here is a follow-up on my last post. I performed an additional but limited review in the above linked database and my conclusion is? The data doesn't demonstrate any conclusive evidence between BoB and eBay, regardless of whether it is a local buyer or not. First, the number of sales is limited or very limited. Second, Prices have been falling relentlessly for years, so earlier sales cannot be compared to later ones unless in (very) close proximity. Third, The price variances are immaterial or within the range of "tolerable error" which for coins is very wide, as in potentially over 100%. This is a lot less common on high priced in-demand coins especially if sold in close proximity or the most widely collected US coinage in similar grades. However, this doesn't represent more than a very low proportion of ZAR and even fewer from Union. Fourth, there is every reason to believe that hardly any foreign collectors have ever even heard of BoB. This might be a surprise to all of you but I never heard of it until I started selling to South African based collectors in 2009, right before I joined this forum as you can see by the date of my avatar. By 2009, I had already been actively collecting South African coinage since 2002 and initially started in 1998. Fifth, coins are not widgets as I have explained on multiple occasions. Two coins in the same grade may be relatively similar. Most of the time, I consider the differences even between "choice" AU (usually a 58 but maybe a 55) and MS-63 minimal if not irrelevant but that's not how most collectors here or on either the NGC or PCGS forums view it. However, other times, I see it otherwise. It just depends upon the coins being compared. The price in this database say nothing about the actual quality. As examples, Stack's sold an NGC AU-53 2/6 for I believe somewhat over $350 USD sometime in 2016. From the image, it was a nice coin. Previously, Heritage sold the same coin in NGC MS-61 and this coin is also listed in the coindatabase. By any standard, it's a mediocre looking coin and one I wouldn't even want, not because of the grade but its appearance. I suspect this is why the Heritage buyer dumped it. I have also seen concurrent sales of 1892 5/ on Heritage in same or near grades where I like one a lot better than the other. I can dig up images if necessary. Now let me use an example of coins I currently collect. I am having a problem pasting a link so I will describe it. Sale one: 1754 PCGS MS-64 Peru Real lot 28661 sold January 16, 2013 for $1997 USD. Sale two: 1754 NGC MS-64 Peru Real lot 31211 sold April 8, 2017 for $763. I haven't inspected the coins in person but don't necessarily believe either coin is "over graded". The first one is just still quite a bit nicer because of the color and the lack of scattered toning over mostly untoned surfaces of the other. The second was probably dipped at some point in the past while the first looks far more "original". The sales are four years apart but even as one of the few collectors of these coins, I don't believe the market environment is noticeably different now than in 2013. Uninformed collectors will attempt to claim that the 1754 Peru Real in 64 is only worth somewhere around $763. Well, the first coin is up for sale now and has a current bid of $1,000 ($1,200 with buyers fee). I was an underbidder on the first back in 2013 and didn't bid on the second because I thought it would sell for a lot more. Atlas Numismatics bought it and offered it for $1250, though I don't know the sale price. As a guess, I'd value the first coin around the $2000 it sold for back in 2013 but it has sold for up to $3500 since then. The second is probably $1,000 to $1,250. We are running with different subjects here, but I agree with jwither’s sentiment that South African coins do not necessarily obtain higher prices overseas when compared to local sales of the same (type/grade) coin. Most of us will remember the Robert Bakewell Collection that was recognized worldwide as the ‘Finest Known’ South African coin collection ever assembled. It was broken up in lots and auctioned off in 2014 by a London auction firm. To put it mildly, it was not a big success. My view then was that this fabulous collection would do much better if sold locally by a well-known & respected company (but I did not have any particular company in mind). I actually only shared my view then with a view close numismatic friends who felt 50/50 – some agreed and some not. On reflection, I would still have rather seen the collection being sold locally than overseas. I think it would have done better. Yes, multiple discussions going on here concurrently. The initial comment was on the accuracy of Hern. I find it interesting how even many experienced collectors aren't aware of or consider that it is impossible to keep an annual price guide up to date. If you remember Alex's postings back when I joined this forum, he referenced it numerous times. Price guides were reliable before the internet reduced or eliminated the prior communication limitations. Now that buyers and sellers and collectors and dealers operate on a far more equal footing, it has almost no value except as a general reference. Factually, it would be better if these guides were issued without prices at all. But then, no one would buy it. My tangent started in reply to a few comments which preceded mine. In most countries, the prices of the higher quality coins for most countries are probably higher elsewhere; somewhat and even a lot higher than in the home country. The reason for it is the outsized influence US buying has on most coins. The distinction with South African coins (ZAR but Union in particular) is that most demand for this coinage is from buyers in your country, not from anywhere else. It isn't because foreigners dislike these coins. It is substantially due to the much higher price level versus most other coins, not as much now but absolutely leading up to the 2011 price peak and a few years after. With the pillar examples I just gave, these coins typically sell for more in the US. It's one of the more widely collected series geographically though not measured by the collector base. Disproportionately, I have seen practically all of the better coins either in the US or in Spain. I have won numerous lots from Spanish auctions but as with other US buyers, I only bid on and buy the scarcest and highest quality lots in the auction. As examples, from the Isabella Trestamara collection I bought the 1758 Peru 1/2R (now graded MS-63), Bolivia 1769 real (now graded AU-50) and 1764 Mexico 2 reales (now graded MS-61 but a much better looking coin than this grade). I also bought a 1754 Peru real earlier this year (currently ungraded but I believe up to an MS-63) which in retrospect should have been the 2nd 1754 I described above. I leave everything else to other collectors. As to the Bakewell sale, you are spot on. We both mentioned it at the time. I find it hard to believe that those you spoke with had a 50/50 opinion on the subject. Was it just the estimates or something else? The ZAR coins sold consistently with the proximate Mitchell sale also by DNW but it's evident there is a noticeably larger though still limited collector base for this series, both in SA and elsewhere. 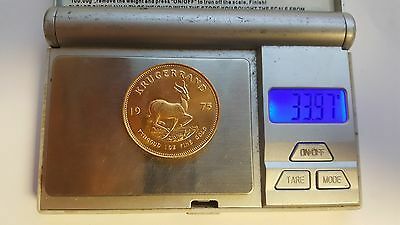 Outside of SA, probably has to with the Krugerrand which is widely known and the design presumably liked. In my opinion, a lot better. At the time, I believe I commented that the funds available to buy this collection weren't likely to emerge because Union is a very shallow market. In other posts, I have speculated that the annual turnover might be as low as $1MM USD annually. If this is wrong, I still doubt it is any more excluding "collector" grades (those not bought for "investment" purposes) and maybe circulation strike Sovereigns which disproportionately have low premiums to gold spot. However, it needs to be considered that splitting the collection into multiple auctions would not have solved the unrealistically high estimates and corresponding minimum bids/reserves. Particularly on the KGV proof sets, the reserves were far too high. I presume that DNW did this to force the math to meet the $2.2MM GBP minimum to win the consignment. They would have been better off declining to accept it. As is evident, since this sale, the quality, value and number of Union and ZAR lots has decreased noticeably in DNW auctions. Someone here once mentioned that DNW used to send representatives to South African based coin shows. I suspect you don't see them anymore, as they must have lost money marketing the collection versus the commission they received. If this is incorrect, it is almost certainly to solicit ZAR consignments, not Union. There may be enough there to make it worthwhile. In Union, I am only aware of two other collections which would be worth the bother, the Mitchell collection and another included in the NGC Registry. I doubt either party is in a rush to sell. At the time, I mentioned there were lots I would like to have bought, but only at lower or much lower prices than the minimum bids. A few lots I thought sold "cheap" at the time but in retrospect, not really. One was the 1938 2/ NGC MS-64 which I recall selling for about $5000 USD. I'd rate it the #2 coin from KGVI circulation strikes. Problem is, I can still buy coins from other series whose numismatic attributes are better or much better for less or a lot less. The financial value proposition is also possibly better, absent another SA coin bubble. An example is the 1759 Peru pillar 2 reales PCGS MS-63 up for auction next month. It is likely to sell for less than half this price.